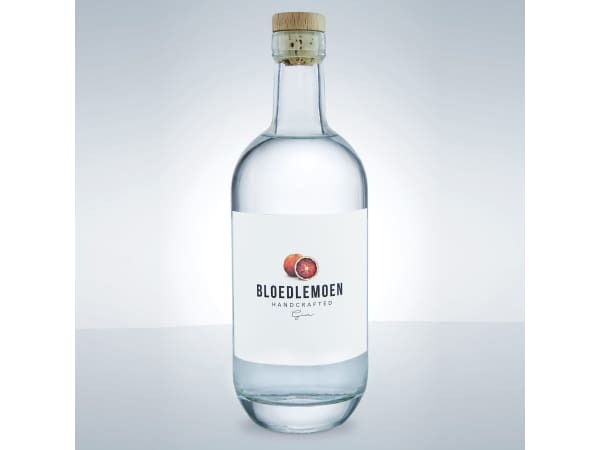 Bloedlemoen Gin is quintessentially South African. 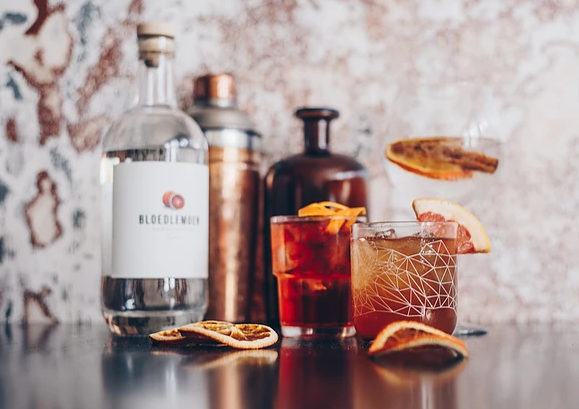 Distilled using 10 botanicals in a classic London Dry style, Bloedlemoen is a handcrafted, small-batch gin with citrus and juniper on the nose, nutmeg and cassia on the palate and a lingering blood orange aftertaste, from where it got its name. 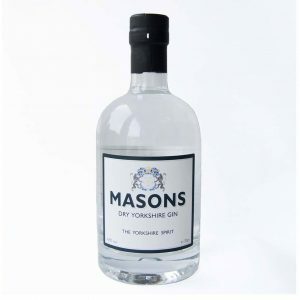 The label was painted by local miniaturist painter, Lorraine Loots, making it nearly as amazing as the gin inside the bottle. 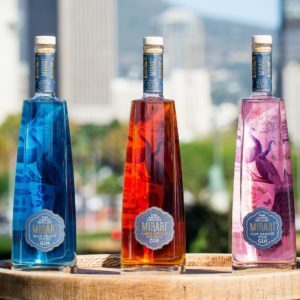 Bloedlemoen (pronounced ‘Blue’d Le Moon’) is a quintessentially South African gin made from the delicious Tarocco Blood Orange, and proudly boasts as the first Blood Orange Gin in the World. 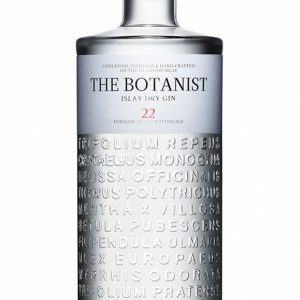 The fruit is sourced locally from our growing partners in the Western Cape of South Africa. The Tarocco Blood orange is a medium to large sized, sweet orange variety. 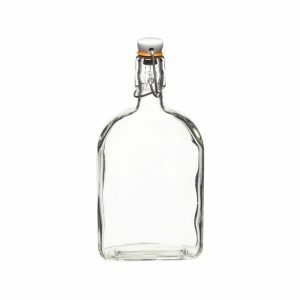 It is globular in shape with a semi-thick, yellow-orange peel that gently clings to its flesh. The rind exhibits only the occasional light pink blush, giving no indication to the potential color of its interior. Its pulp can range from light blushes of pink to a deeper ruby red, depending on growing temperatures. The juicy flesh is nearly seedless with bright, sweet flavor and aromatics. The Tarocco Blood orange is the sweetest of all the blood orange varieties. Tarocco Blood oranges are botanically a variety of Citrus sinensis. The fruit’s distinctive pigment is due to the presence of anthocyanin, a phytonutrient that develops when temperatures get cooler. It is the same natural compound found in pomegranates, which share the blood orange’s trademark coloring. Tarocco Blood oranges are often considered a “half blood” variety due to their irregularity in coloring and occasional spottiness. 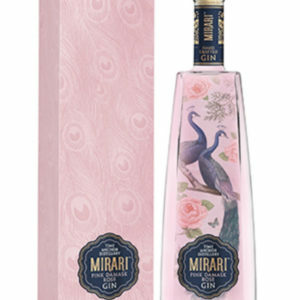 The Tarocco Blood orange was first discovered growing in eastern Sicily in the 19th Century where Italian farmers still cultivate the oranges on the rich fertile slopes of Mount Etna. Without chilly winters, Tarocco Blood oranges cannot achieve their distinctive deep red flesh coloring.